Osteoporosis | Your Health. Your Lifestyle. Every once in a while, new research findings seem to fly in the face of conventional nutrition wisdom, leaving health-conscious consumers scratching their heads or throwing up their hands. One of the most recent examples was a study published last July in the British Medical Journal that linked calcium supplementation with increased heart-attack risk. Researchers analyzed 14 research trials in which subjects took either a placebo or at least 500 mg per day of supplemental calcium in studies lasting longer than a year, with a mean participant age greater than 40 years old. At follow-up a few years later, significantly more participants taking calcium supplements have had heart attacks than those taking placebo. The study authors concluded that calcium supplements (not taken with vitamin D) are associated with an increased risk of heart attack. In light of the findings, consumers who’ve made a habit of taking supplemental calcium – around 43 percent of the U.S. population and nearly 70 percent of older women, according to findings published in the Journal of Nutrition – have been left to wonder: Do the potential risks of supplementation outweigh the mineral’s bone-supportive benefits? The real key is that the calcium was taken without the needed vitamin D. there is research suggesting that when calcium is paired with vitamin D, there’s a reduction in the risk of heart disease. In addition to potentially counteracting increased risk associated with supplemental calcium alone, vitamin D plays a vital role in bone and overall health. It aids in calcium absorption, helps form and maintain strong bones and may protect against osteoporosis. This vitamin has also shown promise in staving off high blood pressure, diabetes and other chronic diseases. And, there’s solid evidence that calcium and vitamin D taken together help prevent bone fractures. Recent research has even shown that improving calcium and vitamin D status substantially reduces all cancer risk in post-menopausal women – yet another motivation to aim for adequate amounts of both nutrients. The recommendation is to use nutrient-rich and balanced food, such as skim milk and yogurt, as your natural sources of calcium and vitamin D. Other calcium-rich foods include leafy greens, sardines in oil, tofu made with calcium sulfate and enriched forms of orange juice, soy milk and cereals. Substantial sources of vitamin D include some types of fish, cod liver oil and fortified foods such as milk, cereals and juices. (Adequate intake is especially important for people with limited sun exposure, as UV-B rays stimulate the body’s own synthesis of vitamin D). If you don’t like these foods, try a supplement intended for bone health that is a combination of calcium and vitamin D, along with vitamin K to provide the balance of nutrients needed for bone health. Look for citrate or malate forms of calcium, as those are the best-absorbed forms, and seek out the D3 form of vitamin D.
Before you head to the health-food store, read labels to take stock of how much calcium and vitamin D you’re already getting through food and drink. According to a report released last November (“Dietary Reference Intakes for Calcium and Vitamin D”), you may not be lacking as much as you think, if at all. (A simple blood test can help determine levels of vitamin D in the body, including that produced in response to sunlight). Above all, keep in mind that maintaining bone health isn’t as simple as just a pair of nutrients. It’s like trying to solve a jigsaw puzzle with two pieces. Consider the lifestyle approach and include calcium, vitamin D, vitamin K and magnesium. Avoid excessive amounts of protein, and follow a sound exercise program. Think overall nutrition and not just nutrients. The invention of Nautilus exercise equipment revolutionized the way we exercise. Its creator has designed a new system that uses computers instead of scalpels to repair injured backs and knees. Mikaela’s weekly exercises on the Med X equipment keeps a curvature in her spine from getting worse. The computer component of the system tracks every move she makes and keeps a record of her progress. What it does is to measure the range and strength of specific muscles. The equipment is so big and bulky because it has to isolate those specific muscles. The equipment can isolate and strengthen muscles in any part of the body. It’s especially effective for treating chronic back pain. In many cases it can replace the need for surgery. We are not saying we can keep everybody from surgery but for those earlier in the problem it’s fixable by straightening out what the muscles do and then they can take care of themselves. Med X gives people in pain or on the mend a faster, cheaper and non-invasive way to build up their strength and prevent future injury. The equipment can also benefit people with arthritis, osteoporosis and back pain. Containing over 4,000 chemicals, including more than sixty known carcinogenic (cancer-causing) substances, tobacco smoke has an obvious negative impact on health. People who smoke cigarettes or any other form of tobacco are at greater risk for such serious respiratory illnesses as lung, cancer, emphysema, and chronic bronchitis, as well as coronary heart disease, stroke, circulatory problems, periodontal disease, and osteoporosis. Smoking robs the body of a number of important vitamins and minerals, and it also affects the body’s ability to absorb these essential nutrients. The primary nutrient affected by cigarette smoke is vitamin C, which helps boost the immune system, is needed for maintaining healthy bones and teeth, and is essential for healing wounds. It is also necessary to form collagen, a protein that is required to make blood vessels, skin, scar tissue, and ligaments. As one of the body’s many antioxidants, vitamin C helps block some of the damage caused by free radicals. Warning – You already know that very high dosages of vitamin A and beta-carotene can cause certain health risks. However, recent studies have shown that smokers who intake high dosages of vitamin A and/or beta-carotene may hve an increased risk of developing lung cancer. Consequently, do not take more than 8,000 IU a day of vitamin A or beta-carotene – especially if you are a smoker. How much calcium do you get in your daily diet? If you’re like most Americans, experts say you probably don’t get enough. You could be at an increased risk of developing osteoporosis. At just 43, Parvin has osteoporosis. This disease of brittle bones affects 28 million Americans. Experts say it’s on the rise because women don’t get enough calcium. It’s estimated that the average adult gets only 600 milligrams of calcium a day from their regular diet. The recommended amount? One thousand to 1,300. “You don’t get your optimum bone strength until you’re 35. Then after that you have to protect it so that you don’t lose it as you get older,” says Dr. Chihal. Other foods high in calcium: broccoli, spinach, beans and fortified orange juice. Calcium from food is better, but if you’re shy of the recommended amount, add a supplement such as calcium citrate. Parvin Pedram, “Just being women, we know we’re going to have a bone problem. So we need to start from day one to attack this.” Through exercise, medication and calcium every day, she hopes to beat osteoporosis. It’s also important to get vitamin D, which helps you absorb calcium better. 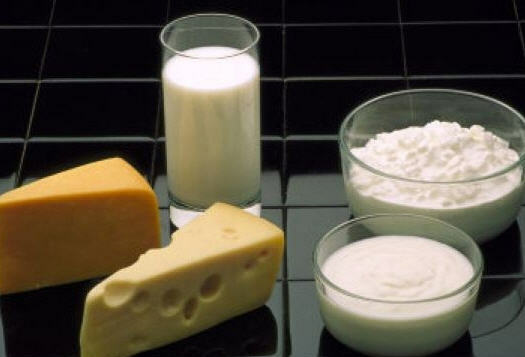 Dietary sources of vitamin D include green vegetables, fortified milk, cheese, tomatoes and cauliflower. Doctors warn you can get too much calcium. If you take more than 2,000 milligrams you can develop kidney stones. 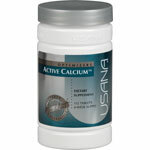 USANA Vitamins Active Calcium™ contains calcium, magnesium, and vitamin D in truly bioavailable forms. USANA Active Calcium was designed help people with a vitamin D deficiency and to complement the USANA Essentials™ in providing the full amounts of calcium, magnesium, and vitamin D required daily for long-term health.